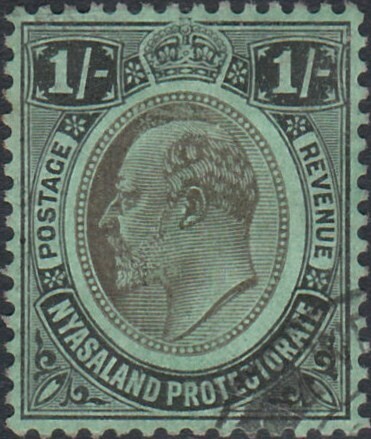 † Scott  begins a new listing for Nyasaland but Gibbons lists British Central Africa overprints SG1-SG71 first, thus Sc1 = SG71. Scott lists the BCA overprints as a separate entry under British Central Africa. The British South Africa Company administered the territory which eventually became Malawi, Zambia and Zimbabwe. The full history is given on the British Central Africa page and see also the StampWorldHistory schematic. So far as this area is concerned, formerly part of British Central Africa, administered by the British South Africa Company, in 1907 it became the Nyasaland Protectorate until it joined the Federation of Rhodesia and Nyasaland in 1954. 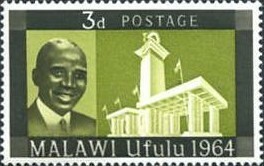 After the Federation broke up in 1963, it became the independent state of Malawi. 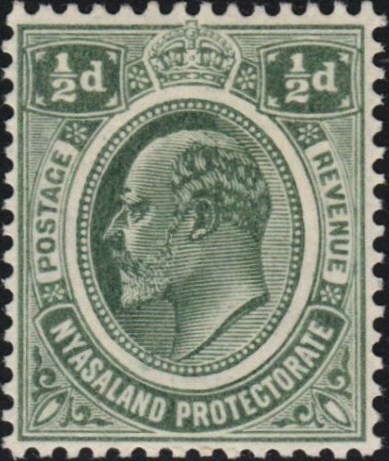 ‡ While Scott lists Malawi from #1, Gibbons continues sequentially from Nyasaland SG1-SG210.